Entries concerning the history and evolution of treatment, services and education of persons who were blind, including some of the most notable persons associated with this history. A Hard Life (1893)And now a pitiful yet inspiring story of another unfortunate child comes to us. She was born in Texas, and when fifteen months old had learned only two words -- mamma and papa. Then she had a serious illness, by which she lost eyesight and hearing, and was doomed to a life of imprisonment, into which no sound or ray of light could penetrate. Acts And Resolves Relating To The Institution For The Blind (1870)A Report from the Thirty-Eighth Annual Report Of The Trustees Of The Perkins Institution And Massachusetts Asylum For The Blind,1870. "These acts and resolves illustrate the changing population and goals of the Perkins Institution and Massachusetts Asylum for the Blind during the mid-nineteenth century." American Foundation for the BlindThe American Foundation for the Blind (AFB) is a national nonprofit organization that expands possibilities for the more than 25 million people with vision loss in the U.S. AFB's priorities include broadening access to technology; elevating the quality of information and tools for the professionals who serve people with vision loss; and promoting independent and healthy living for people with vision loss by providing them and their families with relevant and timely resources. Annual Report Of The Trustees Of The New-England Institution For The Education Of The Blind, 1834Annual reports to state legislatures were one of the key methods by which trustees and superintendents of schools for disabled children argued for additional government funding. In this report, the trustees of the New-England Institution for the Education of the Blind tried to appeal to legislators’ sympathies by stating that the asylum served primarily poor children, documenting the school’s extensive public support, and describing the ways in which pupils were prepared to support themselves after graduation. Apology For Going To College (1905)At times Helen Keller found her college experience frustrating and exhausting, but she gloried in the knowledge she gained. Perhaps even more satisfying to Keller were the new social roles claimed by college-educated women. In this excerpt, Keller discusses the benefits of attending college—an opportunity that had only recently become available to women. Beauty Of Silence: by Helen Keller (1935)...However that may be, I know that silence is essential to the happy development of the human being. In the Montessori schools the period of quiet is a part of the curriculum. Every child sits tranquilly at his task for a certain length of time. When they become obstreperous and interfere with each other's orderly conduct, they are isolated until they regain their composure. Bridgman, Laura DeweyHalf a century before Helen Keller, the "Original Helen Keller," Laura Dewey Bridgman, became the first deaf and blind person to learn a language. By the time that Helen Keller became famous in the early twentieth century, Bridgman's story had faded and been forgotten -- but like Keller, Bridgman moved souls around the world by triumphing over her multiple disabilities. Education Of The Blind (1833)"It has long been to us a matter of surprise that the blind have been so much neglected. Our age, compared with those that have passed away, is truly a humane one; never has more attention been paid to individual man than now; never has the imperative duty of society to provide for the wants of those whom nature or accident has thrown upon its charity, been more deeply felt, or more conscientiously discharged...."
Helen Keller. A Second Laura Bridgman (1888)Michael Anagnos, the superintendent of the Perkins Institution and Samuel Gridley Howe’s son-in-law, played a major role in turning Hellen Keller and Anne Sullivan into celebrities. In this annual report from the Perkins Institution, Anagnos reflects on Bridgman’s education and compares her work with Keller’s startlingly quick progress under Sullivan’s tutelage. Hindrances To The Welfare And Progress Of State Institutions (1883)Presentation at the Ninth Annual Conference of Charities and Corrections 1883 by Michael Anagnos. "...public institutions for the poor and the perverse, the halt and the criminals, the blind and the deaf, the idiots and the insane, are established by law, and are supported by means raised by general taxation. This policy, admirable and beneficial as it evidently is in most respects, is not free from grave disadvantages and certain dangers..."
Howe, Samuel Gridley...In 1831, the trustees of Massachusett’s newly chartered school for the blind, the first of its kind in the nation, appointed Howe as their director. Not long thereafter Howe sailed to Europe to observe schools for the blind, returning in 1832 to open the blind school in Boston. First gaining regional fame by exhibiting his educated pupils throughout New England, Howe extended his own notoriety and that of his school to a worldwide audience after a blind and deaf girl, Laura Bridgman, entered the school in 1837. Under his direction, Laura learned to communicate through finger spelling and writing. The 1842 observations of Charles Dickens that he recorded in his American Notes only added to Bridgman’s fame and to the fame of her educator. Before long, the Perkins Institution, the name that the blind school acquired after a bequest from the Boston merchant, Thomas H. Perkins, became a place that thousands of Americans and Europeans were likely to visit. Keller, Helen -- Story of My Life: Part 1AS THE feat may seem almost incredible, it may be in order to say at the beginning that every word of this story as printed in THE JOURNAL has actually been written by Helen Keller herself -- not dictated, but first written in "Braille" (raised points); then transferred to the typewriter by the wonderful girl herself; next read to her by her teacher by means of the fingers; corrected; then read again to her, and in the proof finally read to her once more. Keller, Helen -- Story of My Life: Part 5 My studies the first year were French, German, History, English Composition and English Literature. In the French course we read some of the works of Corneille, Moliere, Racine, Alfred de Musset and Sainte-Beuve, and in the German those of Goethe and Schiller. We reviewed rapidly the whole period of history from the fall of the Roman Empire to the close of the eighteenth century, and studied critically Milton's poems and the "Areopagitica." Keller, Helen -- Story of My Life: Part 6I TRUST that the readers of THE LADIES' HOME JOURNAL have not concluded from the chapter on books in the preceding number of the magazine that reading is my only pleasure; for my pleasures and amusements are as varied as my moods. Perkins School for the BlindPerkins School for the Blind is located on a 38-acre campus on the Charles River in Watertown, Massachusetts, with partner programs in 65 countries. The school is committed to providing education and services that build productive, meaningful lives for children and adults around the world who are blind or deafblind, including those with additional disabilities. Sullivan, AnneSullivan's mother died when Anne was about eight years old. Thomas Sullivan found it too difficult to raise a family by himself and soon abandoned his children. Anne and her younger brother Jimmie were sent to live in the "poor house" in Tewksbury. Conditions at the Tewksbury Almshouse were deplorable. Chronically underfunded, overcrowded and in disrepair, the Almshouse housed an average of 940 men, women and children during the years that Sullivan was there. The mortality rate was very high, and within three months of their arrival, Jimmie Sullivan died. The children had been close, and Sullivan felt the loss deeply. Technical Training And Industrial Employment Of The Blind In The United States (1908)Written by S. M. Green, Superintendent of the Missouri School for the Blind: 1908. 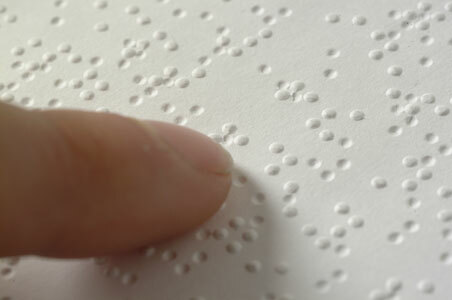 Most blind people became blind as adults, but most schools barred adults from attending. Sheltered workshops could employ only a small fraction of blind adults, leaving most without any recourses other than relying on relatives or entering a poorhouse.